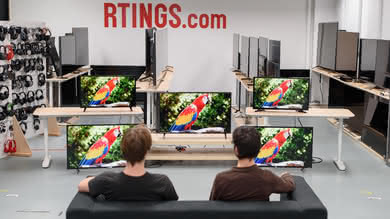 Local dimming is a feature on LED TVs that dims the backlight behind parts of the screen that are displaying black. This makes blacks appear deeper and darker on those parts of the screen, which can be a big bonus for people who watch videos with darker scenes, like movies and TV shows. Unfortunately, the feature can also introduce a few issues to the picture. 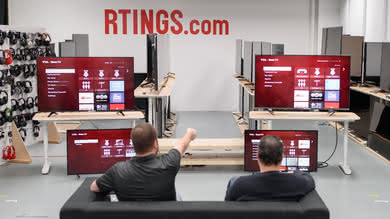 To test local dimming, we play a test video on the TVs to see their local dimming capability in action. 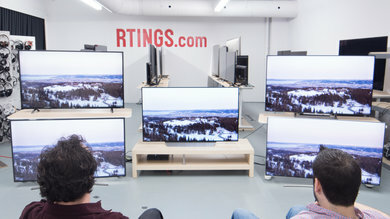 We then subjectively evaluate the TVs based on whether the feature improves picture quality. Update 6/1/2016: Changed the local dimming test pattern video (youtube link, direct mp4). Too many TVs were dimming the small dot before, and the camera settings didn't show this properly. 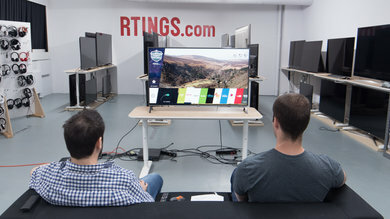 All 2016 TVs reviewed have been retested. Also, we now record this video on every TV, even the ones without local dimming. The recorded video is best viewed in a dark room. Local dimming is meant to increase contrast by making black look deeper. Local dimming functionality will, therefore, make the most difference when watching a dark scene in a dark room. 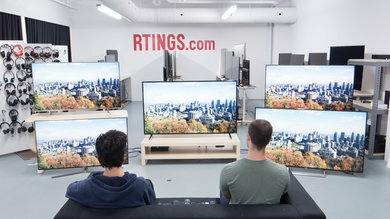 Lights being on in the room would lead the TV to reflect that light, which means you won't really see the benefit of local dimming in a bright room. 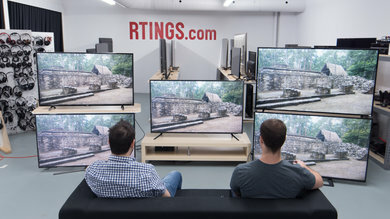 Local dimming can be of noticeable benefit to picture quality, but it can also lead to blacks losing detail, or light blooming off of bright objects and into darker portions of the screen. 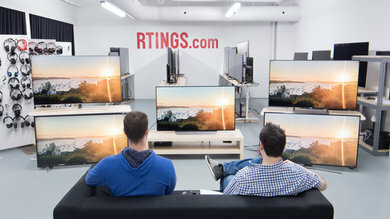 If local dimming is a feature that sounds appealing, you should pay close attention to the results of this test, just to make sure you get a TV that does this feature well. Our local dimming video represents how well the backlight can adjust when dimming a moving image involving bright and dark elements. For the purposes of our video, we always show the maximum local dimming setting in this video, but we test all the different options and will mention which mode we consider the best to use, and why. Number and size of dimming zones: With local dimming, different groupings of LEDs – called zones – are dimmed or brightened at the same time. With many small zones, it's easier to illuminate just the parts of the image that are supposed to be brighter, with little light bleeding into darker portions. Fewer, larger zones, on the other hand, will dim and brighten big portions of the image, often leading things that should be dark to look lighter. By looking at how much space is brightened around the white dot at any given time, you should be able to get an idea of the size and number of zones. Responsiveness: Local dimming is not perfectly synchronized with the movement of bright objects on a dark background. 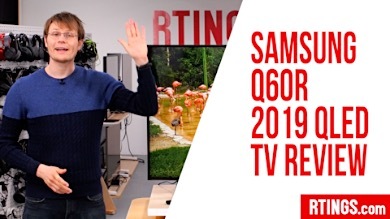 By looking at how much lag there is between the repositioning of the dot and the brightening/dimming of the backlights, you can get an idea of how responsive the TV’s local dimming is. 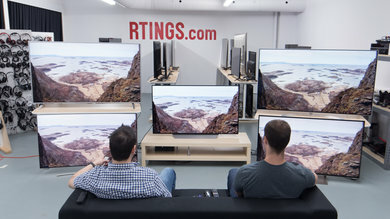 In this test, we play the above video on a TV while the local dimming feature is enabled, and then record how the TV plays the video. The backlight setting is also adjusted to have a 100 cd/m2 white on a checkboard pattern when local dimming is enabled. 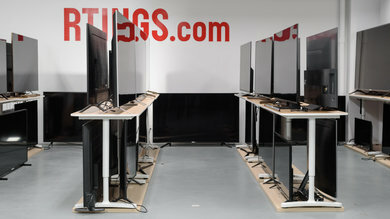 Our backlight test verifies the configuration of the TV's backlight. Direct backlighting (sometimes referred to as Full-array) means there are LEDs placed all over behind a TV’s LCD panel. 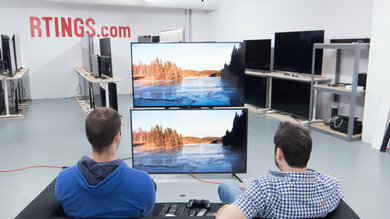 Edge-lit TVs only have LEDs along the sides of the screen (usually two opposing sides), and these LEDs are responsible for lighting the entire screen. They perform quite differently for local dimming, so this result is quite important. 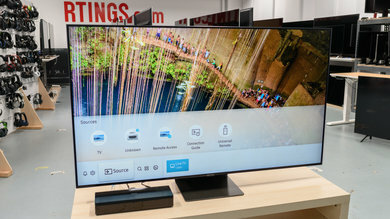 Direct-lit TVs just need to analyze the video, figure out where the spots are that need to be dimmed, and then dim the LEDs that are directly behind that part of the screen. This makes them better at only dimming dark portions of an image and brightening only the parts that should be lighter. 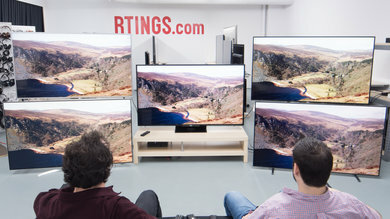 Edge-lit TVs can’t just dim LEDs located behind the relevant parts of the screen (they aren’t there), and so edge-lit local dimming tends to be much less precise. 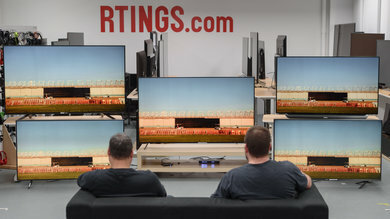 Using local dimming on this kind of TV will usually lead to either horizontal or vertical bands of the screen becoming dimmer, corresponding to the locations of the LEDs on the edges. 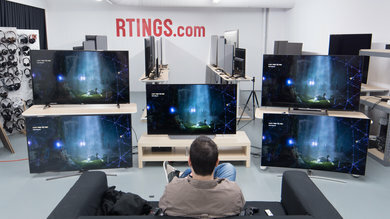 In short, if you want decent local dimming, get a direct-lit TV and not one that is edge-lit. 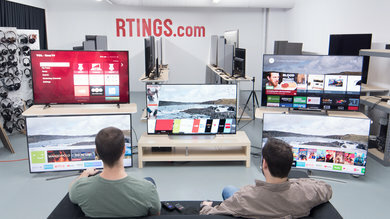 Our local dimming score is based on the subjective impression we get from enabling dimming on a TV. 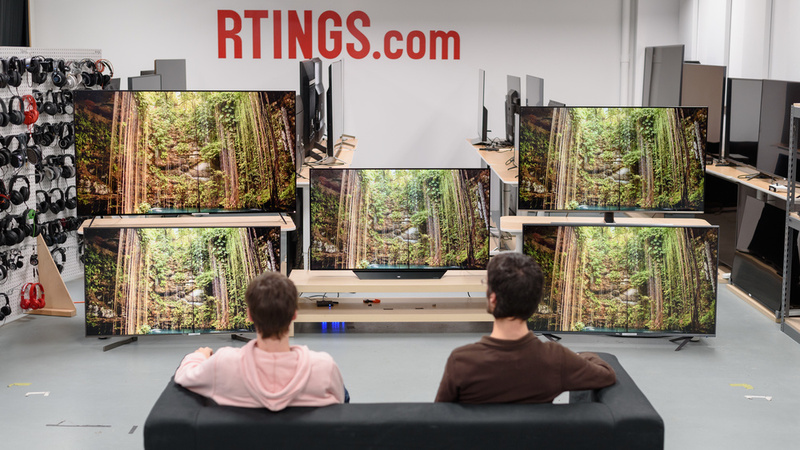 We consider performance with the video test from above, but also how well the TV's dimming performs with regular video and still images. Sizes of the zones: The smaller, the better. Responsiveness: There is a trade-off here. 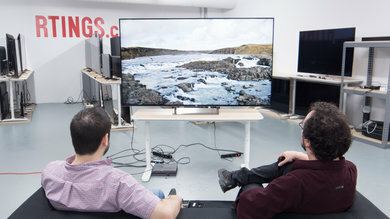 Local dimming that responds too quickly to movement will make blooming more apparent, but a TV that is too slow will darken bright objects that are in motion. Aggressiveness: Another trade-off here. 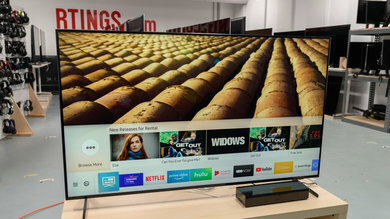 A TV that turns off the backlight as soon as something is dark will lose detail in the surrounding shadows (and similarly, a TV that turns the backlight on to the max for bright objects will create too much blooming). At the opposite end of the spectrum, local dimming that is too weak won't darken the blacks enough to make a noticeable difference. Because of these trade-offs, how 'good' any individual local dimming feature comes down to personal preference. 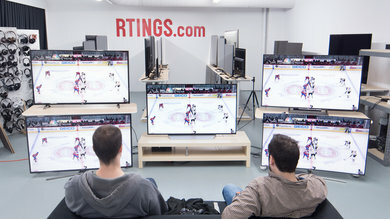 You shouldn't only look at our score to determine whether you will like the local dimming on a given TV. 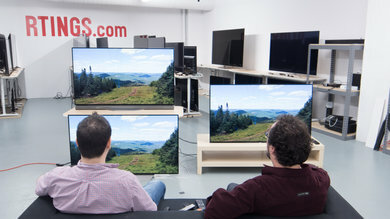 Ideally, a TV will offer a few settings options for you to choose whatever compromise you like. A perfect score would go to a TV that can display very bright highlights next to deep blacks, without any blooming. 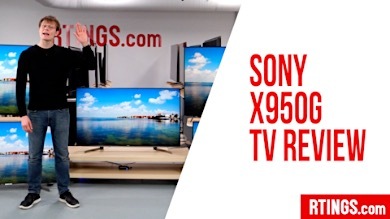 This is impossible for an LED TV but is something all OLED TVs can do. The contrast of LCD and LED TVs has been topped-out at 5000:1 for over 10 years, so even now, blacks on LED TVs are very dark gray, at best. This is because LCD and LED models are backlit, meaning they rely on a light behind the panel to make the picture visible, and the LCD layer is not able to prevent all light from escaping out of the screen. This combination means black still gets illuminated a bit and so has a brightness. This reduces contrast. 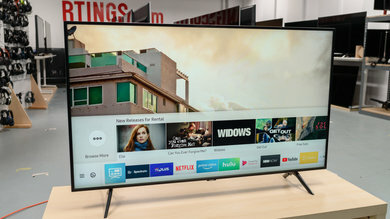 In an attempt to mask this shortcoming, some LED TVs employ local dimming to target dark portions of the screen and dim the backlight in those areas. The intended result is that dark portions will become darker, but everything else will be left as bright as it should be, thus increasing the contrast between dark and light. However, there is always a trade-off because the backlight is not precise enough. Even the best local dimming introduces issues to the picture, so some people will much prefer to leave local dimming off when it is available. 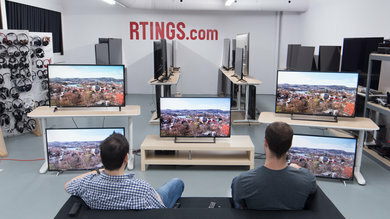 Local dimming can introduce minor problems on some TVs. Light blooming around bright objects and into the darker space. You can see an example of that in the video above and on the left. A trail of light following moving bright objects. See the example above and to the right. A loss of detail in dark areas. Unintended portions of the screen being dimmed. A fluctuating brightness of the screen. 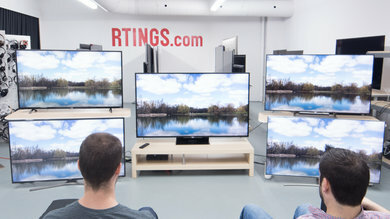 Some TVs offer different local dimming settings. Low settings will usually dim the backlight less, but the downsides of local dimming (see section above) also won’t manifest quite as badly. Higher settings will dim more, but will also make downsides more noticeable. Local dimming preferences are subjective, so if you have multiple options, try out the different settings and choose whichever one you like best. Apart from that, there is no way to get better results from local dimming. 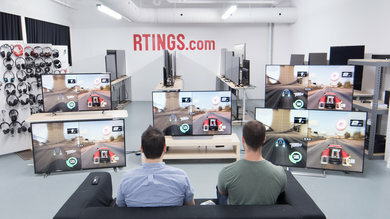 If this is a feature that matters to you, be sure to get a TV that scores highly in this test. 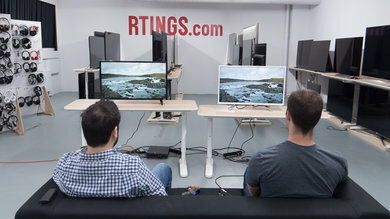 Contrast: This setting affects the contrast of the TV’s panel, not the effectiveness of local dimming. If you’re after deeper contrast, setting your contrast setting to the maximum is a good first step. Note that this can sometimes reduce the amount of detail in highlights. 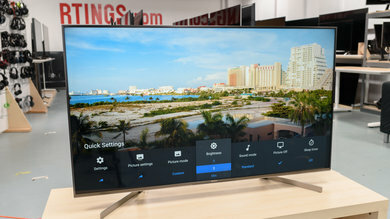 Peak brightness: Some TVs also include a setting that can make white highlights extra bright. It operates on a similar principle to that of local dimming, but in reverse. This setting is important for HDR media. Micro dimming: A Samsung feature. Processes the video in an attempt to mimic local dimming. It doesn’t dim the backlight, but instead, changes the contrast of different areas of the picture. Video purists usually dislike it, because it messes with the video settings of the TV, changing contrast from frame to frame. We don’t recommend using it. 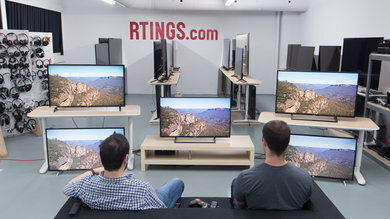 CE dimming: CE Dimming on some Samsung TVs does dim the LEDs of the panel, but not locally. It dims the lighting for the whole panel during darker scenes. Some people do not like it, because you can sometimes notice the whole screen dimming sometimes, like during the end credits of a movie. It’s not as bad in ‘Movie’ mode, and ‘PC’ mode gets rid of it altogether. 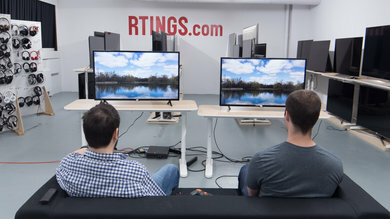 Frame dimming: Frame Dimming is the equivalent of edge-lit local dimming, but with even fewer zones. 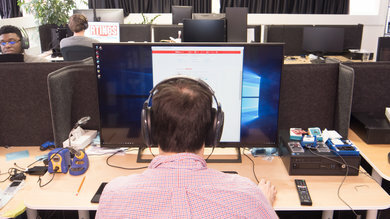 Instead of changing the light for a specific region of the screen, it is the lighting of the whole frame of the screen that changes intensity. You can see it as a very basic version of local dimming. It is better than no dimming at all for dark scenes, but it is nowhere near real local dimming. 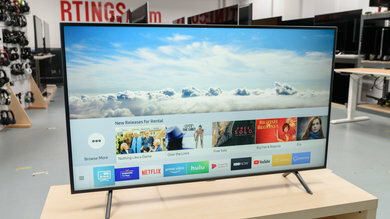 HDR: a TV with a good local dimming implementation will do well with HDR because it will be able to further brighten the highlights. Learn more about HDR. 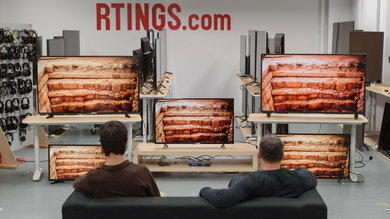 We perform our local dimming test on all OLED TVs as well. 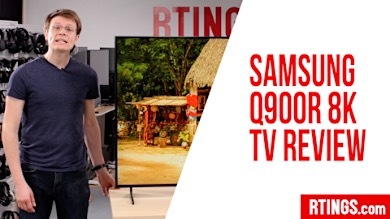 This is so that people can compare how well an LED TV’s local dimming implementation stacks up against OLED TVs’ picture, which is able to display the video used in our test perfectly. 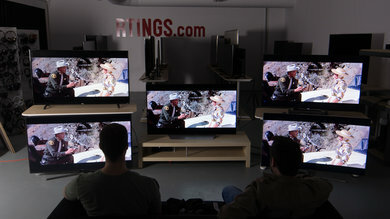 Local dimming is a feature that dims the backlight of LED TVs in order to improve the depth of blacks. 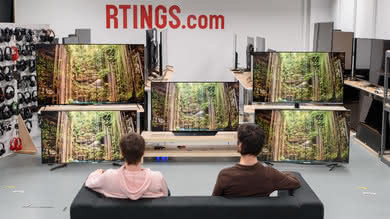 It’s useful for people who are watching dark scenes on an LED TV and want the black to look deeper and darker, but because there are always some downsides, it's not useful on all TVs, or for all viewers. 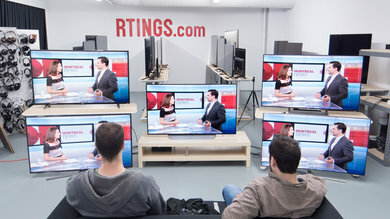 We play a pattern on each TV with local dimming to see how well the feature is implemented. 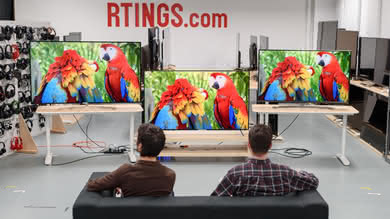 We then score the TVs based on whether a positive difference is made to the blacks and the picture in general, or if unintended downsides are introduced. Apart from choosing a local dimming setting that you like (when available), there isn’t anything else that can be done to improve local dimming. 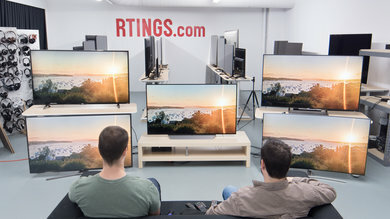 For that reason, if you want good local dimming performance, the most important thing is to get a TV that scores highly on our local dimming tests.